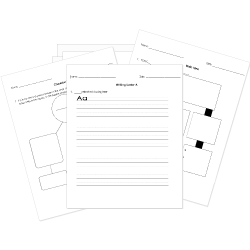 You can create printable tests and worksheets from these None Articles questions! Select one or more questions using the checkboxes above each question. Then click the add selected questions to a test button before moving to another page. Fill in the blank with 'a', 'an', 'the' or 'no article'. What's longest river in world? Is it Amazon or Nile? I need egg for this recipe, but we're out. I enjoyed DVD you gave me for my birthday. Is that "8" or "L"? I can't read it. He is from European country, but I don't know which one. This school has great teachers. Do you know name of her perfume? I need potato for this recipe, but we're out. I need milk for this recipe, but we're out. Is that "U" or "V"? I can't read it. My leg is broken. I need to go in X-ray machine.